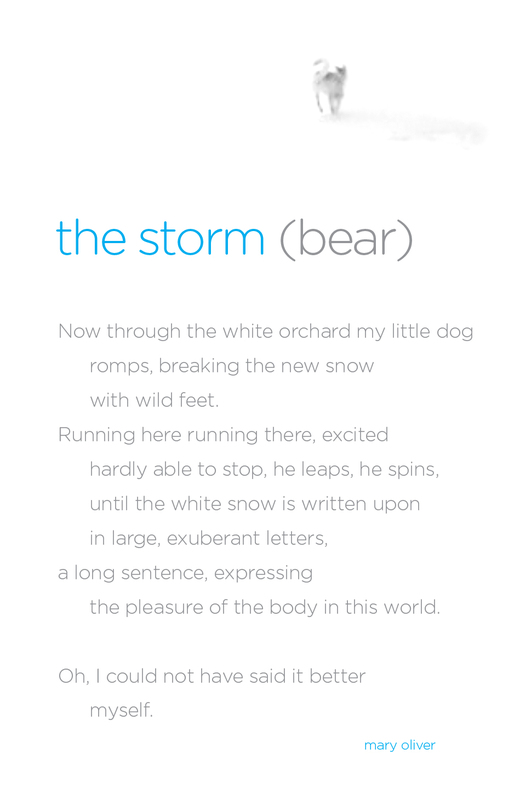 Today’s Typographic Tuesday honors National Poetry Month here in America and it’s brought to you by big dose of serendipity (which, I love): this morning I asked my yoga instructor Shannon after class if she could recommend a great dog poem and her eyes lit up. 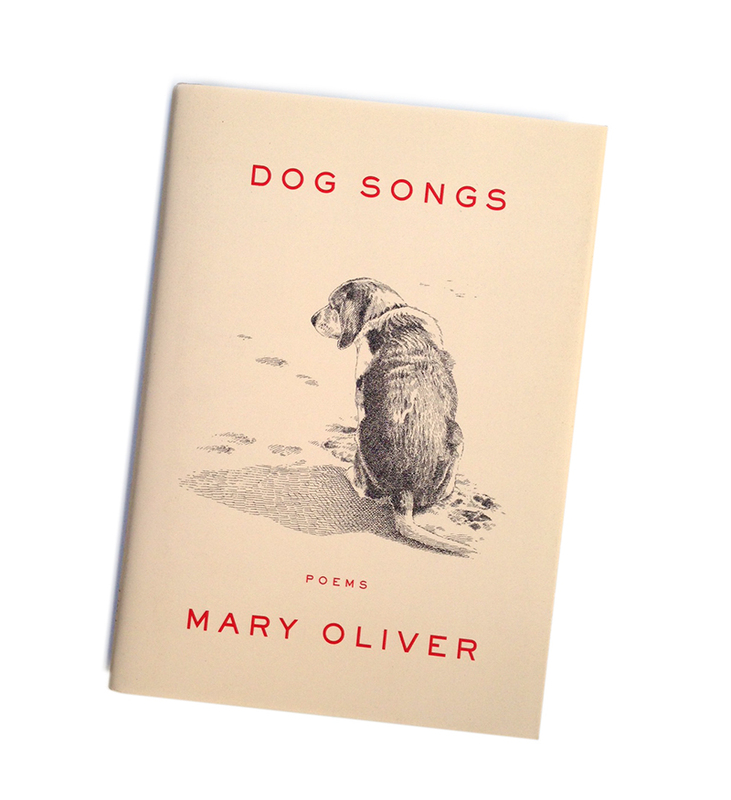 The book she was holding in her hands is by one of her favorite poets, Mary Oliver, and she quickly found this one for me. I knew it would be perfect, a little bit sad but mostly uplifting and tender. 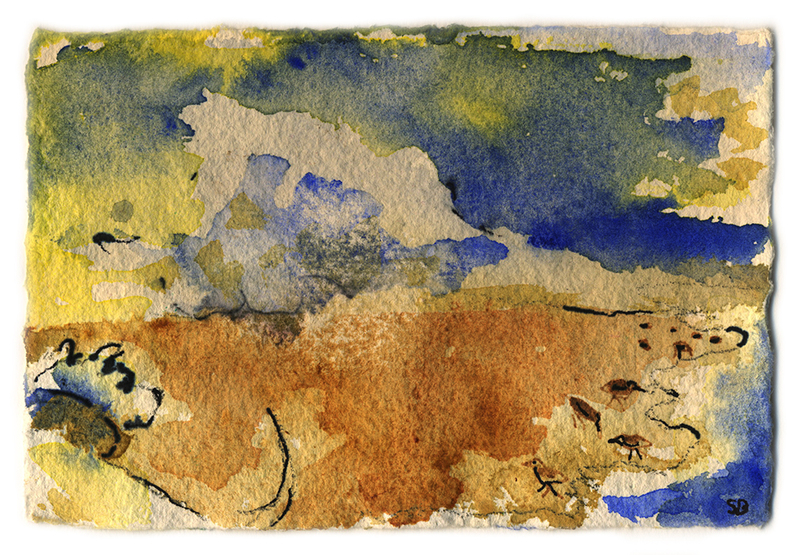 Shannon is a very talented artist, and I’ve wanted to feature her work here for a while and as it turns out, one of the three watercolors of hers that I own is this one titled “Dog on Beach”. That makes me want to say “spoooooky…” but I’m just going to say “ommmmmmmm!” Thanks, Shannon! 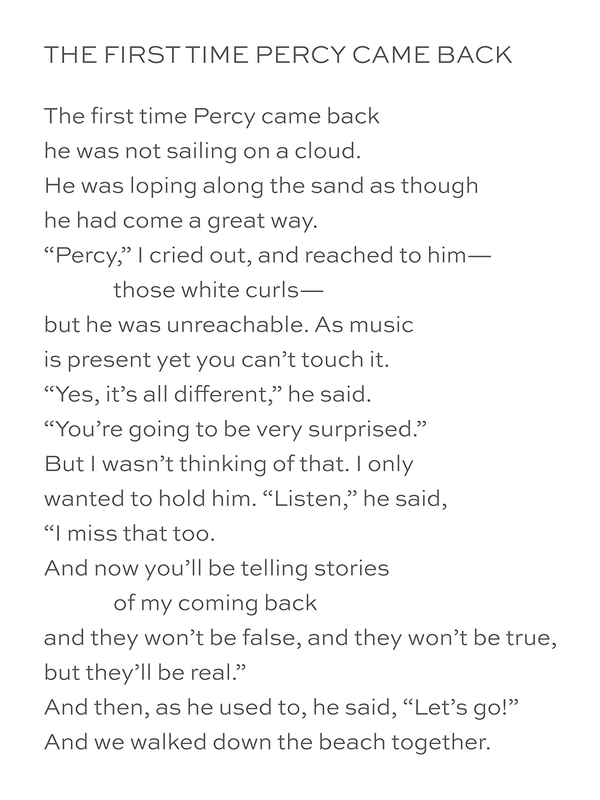 “The First Time Percy Came Back” is from A Thousand Mornings by Mary Oliver. A great bio—and a lovely photo with her dog—can be found here. Artist Shannon Bueker’s work can be found on her website here.